Otedola, who is also a billionaire, said this in an Instagram post on Thursday. 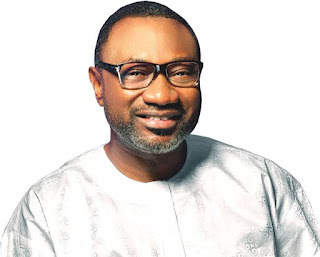 In a caption of a photo he took with Tunde Folwaiyo (the son of the deceased), the Forte Oil boss said it was the late Folawiyo that taught him entrepreneurship. He wrote, "In Malaysia with my brother, the great Tunde Folawiyo! 43 years ago his family opened my eyes to entrepreneurship! The great late Chief Iyanda Folawiyo, the richest Nigerian of all time! The first time I drove a car in 1976, Tunde availed me the opportunity! May the late Baba Adinni’s gentle soul continue to rest in peace." At least five Nigerians have been named as the richest of all time by various sources. They include: Antonio Deinde Fernandez, Sir Louis Ojukwu (father of the late Biafran leader), Candido Da Rocha, Alhassan Dantata (grandfather of Alhaji Aliko Dangote) and the late Chief MKO Abiola. The late Wahab Folawiyo, who lived from June 16, 1928 to June 6, 2008 was a Nigerian businessman and philanthropist.